ElasticMQ 0.7.0, a message queueing system with an actor-based Scala and Amazon SQS-compatible interfaces, was just released. It is a major rewrite, using Akka actors at the core and Spray for the REST layer. So far only the core and SQS modules have been rewritten; journaling, SQL backend and replication are yet to be done. With long polling, when receiving a message, you can specify an additional MessageWaitTime attribute. If there are no messages in the queue, instead of completing the request with an empty response, ElasticMQ will wait up to MessageWaitTime seconds until messages arrive. This helps both to reduce the bandwidth used (no need for very frequent requests), improve overall system performance (messages are received immediately after being sent) and to reduce SQS costs. This will start a server on http://localhost:9324. Of course the interface and port are configurable, see the README for details. As before, you can also run an embedded server from any JVM-based language. For the curious, here’s a short description of how ElasticMQ is implemented, including the core system, REST layer, Akka Dataflow usage and long polling implementation. 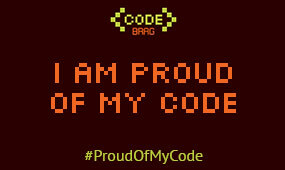 All the code is available on GitHub. As already mentioned, ElasticMQ is now implemented using Akka and Spray, and doesn’t contain any blocking calls. Everything is asynchronous. The core system is actor-based. There’s one main actor (QueueManagerActor), which knows what queues are currently created in the system, and gives the possibility to create and delete queues. The SQS query/REST layer is implemented using Spray, a lightweight REST/HTTP toolkit based on Akka. Where action matches on the action name specified in the "Action" URL of body parameter and accepts/rejects the request, rootPath matches on an empty path and so on. Spray has a good tutorial, so I encourage you to take a look there, if you are interested. How to use the queue actors from the routes to complete HTTP requests? Sometimes, when the flow is more complex, ElasticMQ uses Akka Dataflow, which requires the continuations plugin to be enabled. There’s also a similar project which uses macros, Scala Async, but it’s in early development. The important parts here are the flow block, which delimits the scope of the transformation, and the apply() calls on Futures which extract the content of the future. This looks like completely normal, sequential code, but when executed, since the first Future usage will be run asynchronously. With all of the code being asynchronous and non-blocking, implementing long polling was quite easy. Note that when receiving messages from a queue, we get a Future[List[MessageData]]. In response to completing this future, the HTTP request is also completed with the appropriate response. However this future may be completed almost immediately (as is the case normally), or after e.g. 10 seconds – there’s no changes in code needed to support that. So the only thing to do was to delay completing the future until the specified amount of time passed or new messages have arrived. The implementation is in QueueActorWaitForMessagesOps. When a request to receive messages arrives, and there’s nothing in the queue, instead of replying (that is, sending an empty list to the sender actor) immediately, we store the reference to the original request and the sender actor in a map. Using the Akka scheduler, we also schedule sending back an empty list and removal of the entry after the specified timeout. When new messages arrive, we simply take a waiting request from the map and try to complete it. 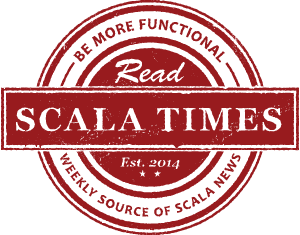 Again, all synchronisation and concurrency problems are handled by Akka and the actor model. Please test the new release, and let me know if you have any feedback!